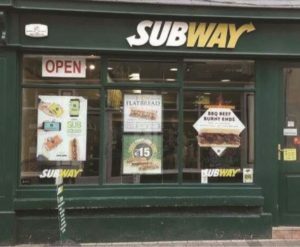 Subway offer a wide selection of freshly made sandwiches, salads, kid’s packs, snacks and treats. Dine-in or take-out. Cater for all events. Make up your own sandwich or choose from a menu of 18 different sandwiches options.